Nearly everyone in Los Angeles has an opinion about the best burger in town. Some of the restaurants on this list have been around for 50 years or longer. These Los Angeles icons have played a large role in defining the quintessential California hamburger. L.A. also has its share of upscale and modern burger restaurants that offer creative and elevated takes on the humble hamburger. Belcampo is not only a restaurant, but an entire concept that controls every level of its food's production chain. Belcampo raises its own beef and owns a humane production plant as well as neighborhood butcher shops and restaurants. The company prides itself on raising organic, compassionately farmed beef. The chain features several restaurants in the city and throughout the state. The Grand Central Market location includes a full butcher shop and a counter-service diner serving signature dishes from the Belcampo repertoire. The menu changes daily due to ingredient availability but always includes several burger varieties such as a farm-made veggie burger as well as signature fries, sweet potato fries, sides and salads. Badmaash is an Indian gastropub-style restaurant that specializes in burgers and beers. The restaurant is well known for its casual Indian dishes such as samosas stuffed with traditional potatoes and peas or butter chicken as well as chicken tikka poutine and other Indian favorites. The walls feature interesting artwork, including Gandhi wearing neon sunglasses. Badmaash's unique burger features a patty made from spicy ground lamb leg cuts. The lamb is free range and hormone free. It is both butchered and seasoned each day at the restaurant. The patty is topped with iceberg lettuce, red onion, cilantro, and smoky paprika mayonnaise. The burger is served on a toasted brioche bun from Breadbar. Plan Check Kitchen + Bar features three neighborhood restaurants in Los Angeles serving modern American small plates, craft beers, and a selection of hand-crafted, artisanal cocktails. The menu features a small but memorable list of burgers, including the most popular, the PCB (Plan Check Burger). This burger is topped off with dashi cheese, schmaltz onions, and mixed pickles. However, the restaurant's homemade Ketchup Leather is what gives the burgers their signature flavor and mouth-feel. Plan Check also features a blue cheese-topped burger, a mushroom swiss, and a double-stacked veggie burger, among others. The substantial appetizer menu, selection of sides, and impressive drink menu make it easy to find the perfect burger accompaniment for any guest. 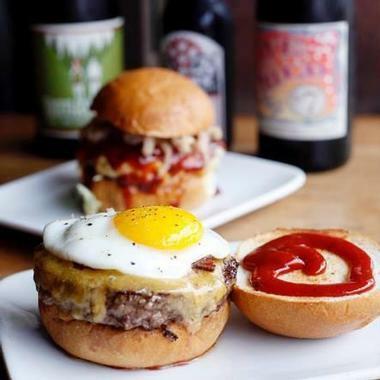 Stout Burgers & Beer is an upscale, pub-style restaurant specializing in simple burgers and brews. The restaurant serves a well-done classic burger but offers several artisanal burger creations as well. One of the most indulgent burgers on the menu is the Six Weeker. This decadent burger is topped with Brie cheese and a delightful fig jam. In addition to delicious burgers, Stout offers a wide variety of draft beers from some of the finest microbreweries around the world. The wine list is quite impressive as well. Stout Burgers now has three Southern California locations with restaurants in Hollywood, Studio City, and Santa Monica. Father's Office has gained a reputation due to its super-strict no-substitutions policy. The well-known chef and owner Sang Yoon doesn't allow ketchup or customizations of the popular burger. There is only one burger on the menu and it only comes one way. 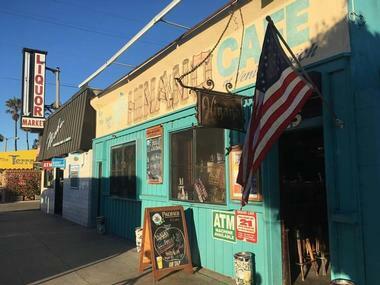 Hinano Cafe is a funky, adult-only beachside sandwich, burger, and breakfast shack on Venice Beach. The restaurant has been serving burgers at the beach since 1969 and is famous for being a popular hangout of Jim Morrison. The restaurant is simple and unassuming, but that's the beauty of it. They have a wide selection of beers on the tap. The restaurant additionally has three pool tables, a jukebox, TVs with college and NFL sports, and free popcorn. They feature live music with local bands on the weekends. 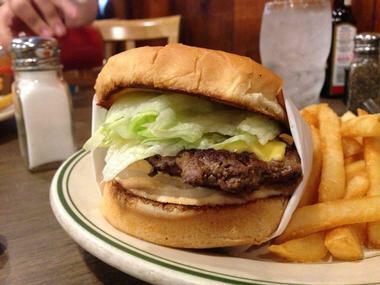 Hinano Cafe serves several hamburger options, but the world-famous Hinano Cheeseburger is what lands them on this list. 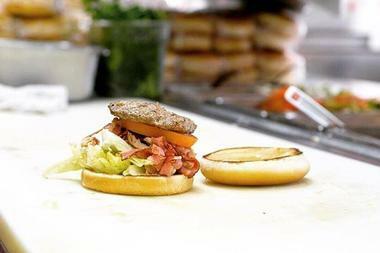 The burger is topped with lettuce, tomato, mayonnaise, onion, mustard, and lettuce with a choice of cheese and is served atop a fresh-baked sesame seed bun. In a town that has endless options for unique, chef-created burgers, Ledlow's is offering something different - a simple, classic burger, executed perfectly. 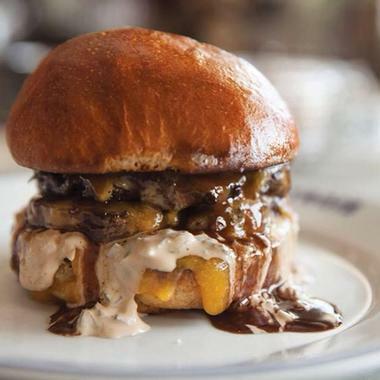 The burger patty is made from a combination of ground chuck, short rib, and a secret third cut of beef. It is topped with iceberg lettuce and classic burger toppings like cheese, lettuce, onions, and mustard and is then served on a homemade poppy seed brioche bun. The restaurant has a relaxed atmosphere and a nice outdoor patio. In addition to a delicious burger, the menu also features multiple non-beef options, including chicken parmesan, roasted white fish, and a selection of salads and appetizers. 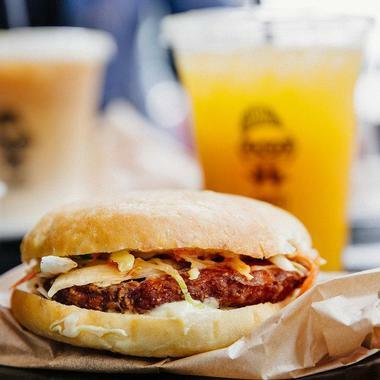 LocoL was created around a unique premise - to bring healthy, affordable food to poorer neighborhoods and support the idea that eating well doesn't have to be expensive or time-consuming. The menu has two main categories, $5 burgers and $7 bowls. There are several burger options and most of them come with a choice of a beef patty or veggie patty. Rather than serving sodas, the restaurants offer aqua frescos, coffee, and milkshakes as beverage options. In addition to the restaurant's flagship location in Watts, they also have a location off of Broadway in Oakland and a food truck that can be seen all around the city. Original Tommy's is a hamburger chain in Southern California with two locations in Los Angeles. This popular fast-food restaurant is famous for their chili and chili burgers. 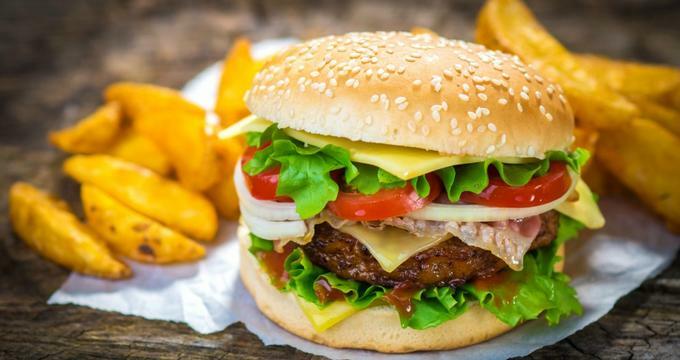 The burgers are made from quality, all-beef fast-food style patties and topped with real cheese, freshly chopped onions, and thick tomato slices. All of Tommy's entree items are served with chili. In addition to burgers, Tommy's serves chili and chili-cheese fries, a limited breakfast menu, coffee, soft drinks, and milk shakes. Chili fans can take chili to-go in 8, 16, and 32-ounce sizes. In addition to the location on Beverly Boulevard, Tommy's has a location in Hollywood and many other stores throughout California. Petit Trois is a cozy French restaurant with a full bar and a memorable burger. The massive burger is topped with caramelized onions that are reminiscent of French onion soup as well as a garlic aioli, American cheese, and a red wine bordelaise sauce made with foie gras. Burger options range in size from a Petit Mec with one 4-ounce patty to the Big Mec, which has two patties. The patty itself is French-style as well, meaning it is more like a chopped steak than a ground beef patty. The patty is prime beef and has a nice, steak-like flavor. In addition to the burgers, the restaurant serves a nice selection of French entrees, appetizers, sides, and desserts. 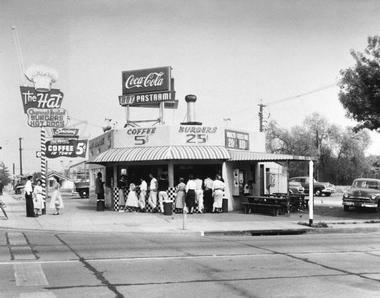 Since 1963, Pie 'n Burger has been serving beloved burgers, milkshakes, fries, and fruit pies to a loyal, local crowd. This old-fashioned burger joint has received numerous awards, including a spot on the Food Network's list of America's top five cheeseburgers. 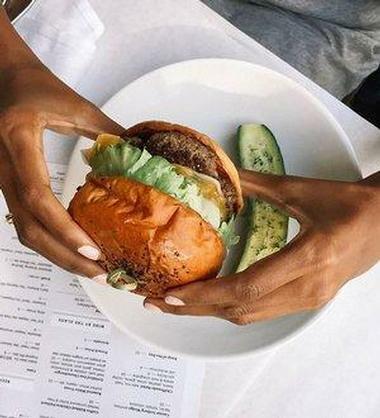 The family-friendly restaurant serves a slightly charred burger patty topped with crisp, crunchy lettuce, American cheese, pickles, and Thousand Island dressing. In addition to a traditional beef patty, Pie 'n Burger also offers turkey and veggie patty options. The simple decor, wood paneling, Formica counter, swivel counter stools, and longtime staff allow guests to experience this Pasadena tradition much as it always has been. The Apple Pan is one of Los Angeles' most iconic burger restaurants, having been in business since 1947. 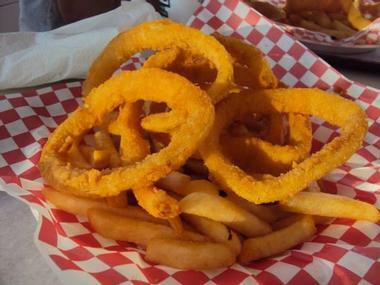 The small yet lively diner dishes up classic American favorites such as burgers, fries, pies, and more from it's simple horseshoe-shaped counter. The restaurant boasts two popular burgers, the Steakburger and the Hickory Burger. The Steakburger is topped with a special sauce, Tillamook cheddar, pickles, and a wedge of lettuce. The Hickory Burger features similar components but is topped off with a hickory barbecue sauce that gives it a special tang. After enjoying one of the burgers, guests should certainly try the restaurant's namesake - a slice of apple pie for dessert. The Hat is a chain of fast-food restaurants that specializes in pastrami dip sandwiches. In addition to several pastrami dip options, the restaurant also serves burgers and cold sandwiches as well as sides and drinks. While the restaurant's traditional cheeseburger is a bit bland and lacking in flavor, when it is topped with pastrami the story changes. The Hat's special pastrami is sliced incredibly thin and adds a satisfying saltiness to the bland burger patty. In addition to the original location at the intersection of Valley and Garfield in Alhambra, The Hat features 10 other locations in and around Los Angeles. The Oinkster is a hip fast-casual joint in northwest L.A. that serves gourmet burgers, specialty sandwiches, and craft-brewed beers. 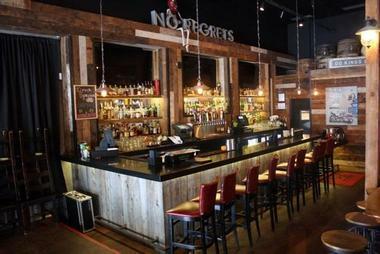 The restaurant features retro decor and a modern, relaxed, and fun environment. The Oinkster specializes in American favorites such as house-cured pastrami, slow-roasted pork, and juicy Angus beef burgers at a reasonable price. The burgers are topped with high-quality Gruyere or sharp cheddar cheese, homemade sauces and dressings, and crunchy vegetables. 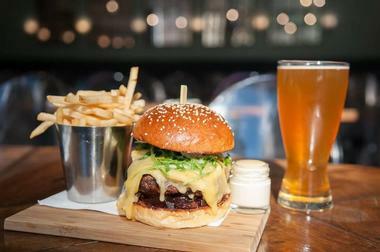 The burger can be devoured alongside a premium beer, a glass of wine, or a hand-scooped milkshake. The restaurant has two locations, one in Eagle Rock and a second in Hollywood. The Standing Room is a restaurant that specializes in American food with a Korean influence. The rustic locations serve beer and burgers near the beach. The menu starts with a selection of starters and sides ranging from a light spring mixed, Oscar, or kale salad to traditional chicken wings and parmesan fries. Burgers take up nearly a third of the menu space and include several varieties. Guests can choose a classic burger with lettuce, onion, tomato, cheese, and Thousand Island dressing or go all out and get the Special Blend Burger, which is a four-meat blend of hanger steak, brisket, chuck, and short rib topped with TSR steak sauce, Korean aioli, smoked Gouda, spring mix, and shoestring onions. There is sure to be something on the menu for any burger lover. Other sandwiches and entree plates provide additional meal options. The Standing Room has two locations in the Los Angeles area: on Hermosa Beach and Redondo Beach. Bobo's Burgers is a chain of no-frills, counter-serve restaurants that offer burgers, burritos, and breakfast items. 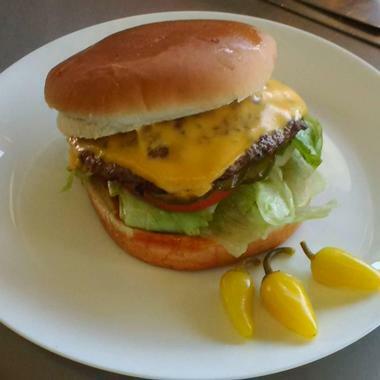 Bobo's strives to make a fantastic, low-cost hamburger with quick service and quality ingredients. The burger options at the restaurant include a classic quarter pound burger with or without cheese, a Junior Bobo Burger, several chili cheeseburger options, a delectable avocado bacon cheese burger, and several other burgers. The restaurant also serves a variety of other sandwiches and burritos, including a fish fillet sandwich, a patty melt with onions, and the Billionaire Bacon Turkey Club. Additionally, Bobo's serves a range of milkshakes and sundaes. Bobo's has several locations in Southern California. Burger Lounge is a hamburger restaurant specializing in grass-fed burgers and high-quality toppings. The restaurant appeals to health-conscious guests and also caters to vegetarians. They partner with several farmers, ranchers, bakers, craft brewers, and other local producers to offer fresh and high-quality ingredients. The fresh, never-frozen beef appears alongside other patty options such as free-range turkey, quinoa veggie, and grass-fed bison. The patty is topped with organic cheese, fresh veggies, and Thousand Island dressing. The menu also features a selection of organic salads, classic diner sides, milkshakes, floats, and beer as well as a kids' menu. 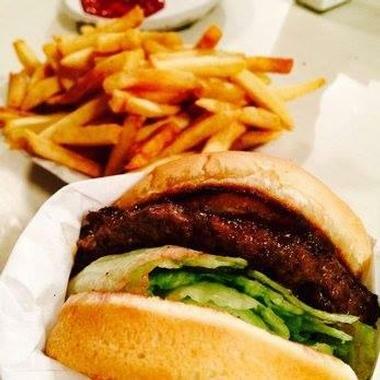 Burger Lounge has more than half a dozen locations throughout Los Angeles and many other locations throughout California. 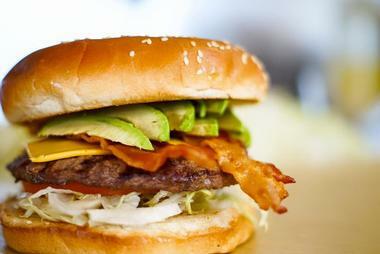 Cassell's Hamburgers in L.A.'s Koreatown is a long-time resident on the L.A. burger scene. The restaurant's signage is evidence of a time long past, when the restaurant stood on its original site, not far from today's location inside the Hotel Normandie. The well-griddled burgers are as good as ever. The patty is composed of a mix of Colorado Angus chuck and brisket served on a Parker House roll from the La Brea Bakery. 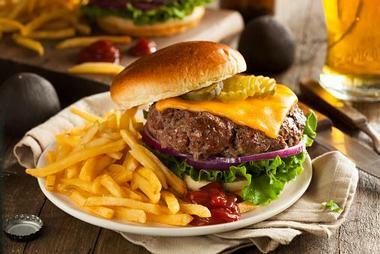 The burger toppings are simple and traditional, consisting of a choice of sauce, lettuce, tomato, onion, and pickles. In addition to the classic burger patty that made Cassell's locally famous, the restaurant offers a homemade vegan patty as well. Dino's Burger is an old-school restaurant serving classic diner food. The restaurant has been in business since 1968 and still retains much of the charm that helped make it successful over the years. The restaurant offers dining either indoors or on the patio as well as takeout and delivery options. The menu features several options of burgers, including a fried egg burger, a chiliburger, the Western Bacon Cheeseburger, a mushroom jack burger, and more. The burger comes in a combo with soda and fries. Zucchini can be substituted for fries as well. Dino's also offers a number of non-burger choices, including several chicken entrees, salads, and a selection of breakfast dishes that are served all day. Fresh and Meaty Burgers is a restaurant that specializes in made-to-order beef, turkey, and veggie burgers. The fresh, never-frozen patties are the star of the menu and are true to the restaurant's commitment to fresh, high-quality ingredients. In fact, all of the meats and vegetables used at Fresh and Meaty are purchased daily from suppliers. The menu includes several burger options that come dressed with lettuce, tomatoes, onions, mustard, pickles, mayo, and relish. Guests can choose extra toppings or sides and can finish up their meal with a tasty slice of pie or a cup of homemade ice cream. 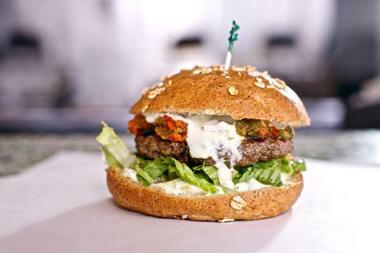 Hercules Burger is an affordable fast-food restaurant with three California locations. The menu includes a variety of sandwich options ranging from gyros and pastrami sandwiches to a few burger options. Burgers and sandwiches come with fries and a soft drink. Burger choices include a traditional burger, a double cheeseburger, and an avocado bacon cheeseburger. The restaurant offers burger deals for families or groups such as the Family Five Pack and the Junior Five Pack, which both include five burgers, five fries, and five drinks. In addition to burgers, the menu features a robust breakfast menu, dinner plates, Mexican food, and several side items. Patra's Charbroiled Burgers is a quick-serve restaurant that serves hot dogs, salads, breakfast and, of course, beef and veggie burgers. 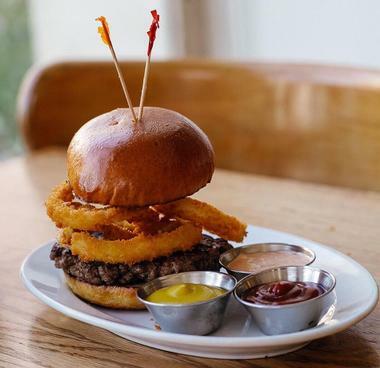 The restaurant has been a longtime resident on the Los Angeles burger scene but has received a bit of a healthy makeover in recent years. The restaurant still retains the classic burger-stand feel but with a few additions to the original menu. 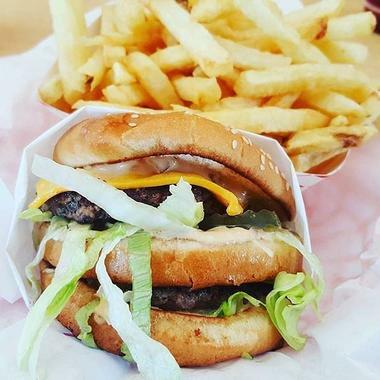 The Patra's Original Cheeseburger is virtually the same burger that the stand has been serving for years and is a thin patty topped with cheese, lettuce, tomato, and special sauce. However, the restaurant now serves a few other options such as the Revolution Burger, served on a whole wheat bun with a heap of vegetables on top of the patty as well as a potato and bean spread. 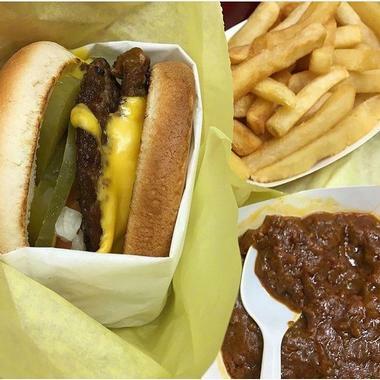 Hawkins House of Burgers serves what is perhaps the most beloved burger in Watts. The burgers are thick and loosely formed, which results in a juicy bite. 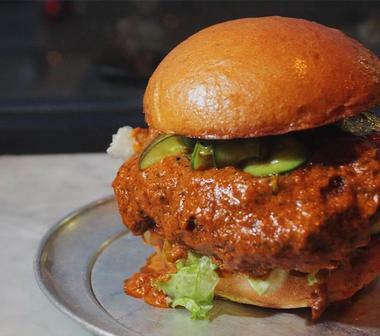 The crowning jewel of the burger menu is the behemoth of a sandwich - the Whipper Burger. The burger is massive and you will most definitely need a knife and fork to finish it. 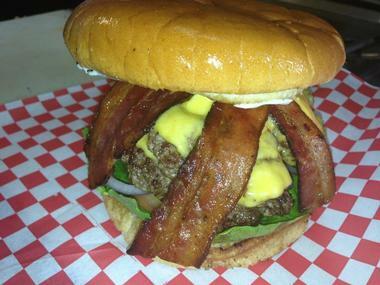 The burger is piled high with two well-seasoned beef patties, fried pastrami, and sausage links. The restaurant serves only fresh, never-frozen meat and quality, fresh vegetables. The downside of Hawkins is that they are known to have a somewhat slow service. Guests should plan for a half-hour wait at the very least. However, this certainly doesn't slow down their business because people just keep coming back for the food. 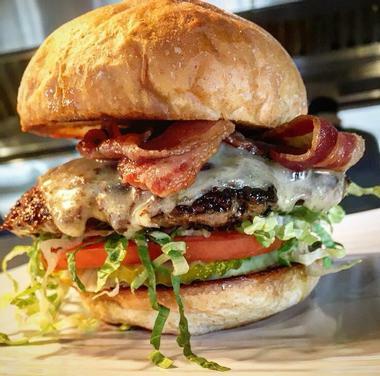 The Fix Burger serves a selection of customizable burgers at reasonable prices. The restaurant offers several patty options, including exotic meats like bison and wild boar. They are juicy and served on a hearty sesame seed bun. The standard version of the hamburgers comes with traditional American toppings like mayonnaise, onions, lettuce, and tomato. However, each burger can be customized or guests can build their own. The topping options are nearly endless and include bacon, avocado, and sautéed mushrooms as well as a number of high-end cheeses. The menu also includes a selection of burgers with chef-created topping options such as a Korean-inspired Seoul Burger. Tom's Burgers is an old-fashioned fast food restaurant that serves burgers, tacos, burritos, and pastrami sandwiches. The restaurant has been a Los Angeles mainstay since it opened in 1956. The burger menu includes the same classic cheeseburger that they've been serving for more than 50 years. In addition, they serve a double burger, double with cheese, quarter pound hamburger, a chili burger, bacon burger, and pastrami burger. All of the classic burgers as well as many other items on the menu are served as-is, with no substitutions allowed. Tom's also offers a selection of Mexican favorites as well as salads, other sandwiches, and kids meals. 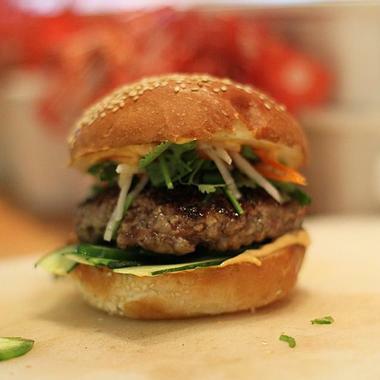 25 Best Burgers in D.C.